I was a total newbie purchasing my first home, and Bev made the whole thing practically seamless. On my first meeting with her, I immediately felt relaxed, comfortable, and in good hands. She is friendly and personable yet extremely knowledgeable and professional. She walked me through the entire process step by step, and because of her guidance, I was well-prepared with the many documents needed for financing, which helped speed the process along. Bev provided many excellent recommendations for various services, and each one proved to be trustworthy, prompt, and thorough. She was available literally all the time, and usually replied to texts and emails within minutes, even on weekends - including Mother's Day! Many friends told me that their experiences with purchasing a home were the most stressful thing they'd ever done, so I was apprehensive, but the whole thing beginning to end took less than a month and was surprisingly painless. She even helped me envision a way to rearrange my new kitchen to better suit my needs. It's quite clear that Bev loves people and loves her career, and it was an absolute joy to work with her. I'm extremely fortunate to have had her help, and would choose her again without hesitation. Beverly was truly amazing! She was very accommodating and went above and beyond to meet our every want and need. She is very knowledgeable and made the whole home buying process simple from day one to closing. We are first time home owners and there is no way we could have done it without her! I am not one to write glowing reviews. Bev, however, is an outstanding realtor. We were out of state and looking for a condo downtown to buy. We had very specific location and price range. She was patient for a year as we slowly looked and considered units. She knew our needs and was willing to be just as patient as needed and do whatever we needed. Once a unit in the building and location that we wanted came open she was there within hours for us. She took pictures, checked its status, organized an inspection, and made an immediate offer and kept close contact with the listing agent (there were other offers and she made sure ours stayed first in line). Our initial lender was very slow and Bev made sure the buyers did not lose patience. She also made a few phone calls and switched us to a new loan officer and bank which was then perfectly smooth and fast. Bev is fantastic to work with and a credit to her profession. If you are looking for a full-time and personable straight-shooter, someone who won't pressure you to look beyond your budget, look no further. She actively listened to our wants and needs, and effectively used technology to keep us informed of new listings. Before closing on our perfect home, we found her to be patient and encouraging, as we worked with her for more than a year. She proved her desire to see us happy was genuine. Now we cannot think about Bev without smiling, as along with our business she earned our hearts. Noteworthy are her many capable connections; they were unexpected and proved invaluable. Bev is an absolute delight �we love her! She is friendly, honest, hard-working, encouraging, and personable. We were nervous to work with a Realtor, but Bev was very patient with us and never forced us into a house. We are first time home-buyers and did not know anything about the experience. We looked at thirty-forty houses over the course of about a year. Bev coached us through it and helped us to find the perfect home. Bev is determined to get you the home you love, no matter what it takes. She will go up to bat with you, and is not afraid to be assertive with other parties involved. She also frequently goes above and beyond the call of duty; you can ask her for help on anything. Bev is also open to feedback, and doesn't get angry if you tell her no. You can be honest about how you feel, and she always respects that. She will gladly offer help in any way she can, and was on call every day. She even took our call on Christmas Eve, due to an issue that was beyond her control. She also closed with us the day after Christmas. We would HIGHLY recommend Bev to anyone, especially first-time home buyers. She is fantastic and if we ever move (which we're not planning on), we will use her again. We loved working with her. Beverly held my hand through the entire experience. She made this the easiest process and I was so nervous. She was always accessible, night or day. I had a million questions and she went out of her way to quickly respond and answer them all. Beverly is a tough cookie and really wants the best for her clients. She was there for the inspection and really fought to make sure we got all of the items fixed we were requesting of the seller.Mrs. Goldstein really knows her stuff and is a force to be reckoned with. I'd recommend her to anyone!!!!!!!!!! I don't know what I would have done without her. Beverly has got to be the most genuine and patient realtor I have ever met. We started off in a position wanting to buy but not quite ready. Other realtors feed us the usual lines of " bring up your credit score and call us back". They never told how to fix the problem. Bev helped us with practical solutions and got on the right track. She stayed in touch with us for months as we worked to get ready. And when the time came to buy she guided us every step of the way. Beverly worked far harder then the pay she earned. She is knowledgable, caring, genuine and truely cares about you finding your future home whether its a $50k or $500k home. I highly recommend her to be your realtor. I contacted Bev when I was looking to buy my first home. She was always very responsive to emails and calls and very professional. She always put my needs and wants first. I felt that she went the extra mile to answer questions and fulfil requests that I had, even during weekends and evenings. We spent quite a few weekends together looking all over at houses before I found the home that was right for me. I never felt pressured, rushed, or persuaded at any point - she was very patient. She was very knowledgeable about the entire process. I would highly recommend Bev to anyone thinking about buying a home. Bev was absolutely fantastic. 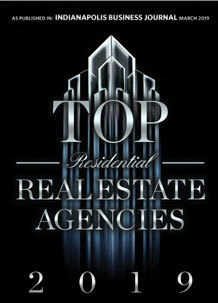 I had a couple bad experiences with different agents and was very hesitant to start working with another agent. She was really great from the get go though. She was very available and responded promptly to calls and emails. Bev stayed on top of the listings meeting my criteria as soon as they came on the market. Overall she was a pleasure to work with. I would definetly recommend Beverly. We found Bev to be highly responsive and very in tune with our needs as borrowers. She really seems to care for her clients and frankly I will be very likely to refer her to everyone I know. We were able to close our loan in less than a month utilizing Bevs services! Highly recommend!!! Bev was wonderful helping my husband and I purchase our 1st home. She made sure to get to know us to understand exactly what we were looking for. We spent a year and a half together searching for the perfect home. Bev made sure that we did not settle and made us feel comfortable with taking our time. She made sure that we knew she was there for us. She always had her eye out for anything that would fit our needs and informed us immediatley when listings came on the market. Bev was available anytime we needed her and was very quick in responding to any questions we had. She coached us throughout the entire process. I am so grateful that Bev helped us find the perfect home in our ideal location and at the right price!!! My wife and I were looking for our first home together. At the very beginning, and throughout the process, Bev made sure we knew that she was there for US. We had lots of questions and anxiety about the market and making the best decision. It didn't matter how many questions we had or how silly they were she found an answer for us and let us decide. We researched hundreds of homes, viewed nearly 50 or 60 homes until we finally found our perfect home, in our price range and the neighborhood we hoped to live. Beverly's professionalism and personality made the home search an enjoyable experience. She listened to our needs and wants and was very patient and helped to find the right house for us. She is incredibly responsive and always got back to us quickly. I have recommended her to prospective buyers and will again in the future. We have worked with Beverly twice in the past year. During my initial relocation process, she helped us find a rental house. The relocation process is a challenging time and Beverly eased the stressed with her outstanding customer service. We also worked with Beverly to find our permanent home. We are a challenging buyer, we were very specific on what we wanted and were not willing to compromise. Beverly was exteremly patient, and thankfully not pushy, when showing us mutliple homes. I was extremely impressed with how responsive she was to any of our requests, regardless of timing. She always made herself available for showings and to put together a market analysis. The end result is that we are now in a home (not just a house) that we absolutely love! To ease the stressful home buying experience, I would highly recommend using Beverly as your realtor. Beverly was a true professional and made our home buying process so easy. She was always willing to help answer questions and go the extra mile for us. Highly recommended. Beverly did an amazing job and went above and beyond to make sure that I was taken care of. Even to the extent of meeting the gas company at the house when I was not available. Beverly knows the area like the back of her hand and really strives to make sure that she is taking care of her client and thier needs. I would highly recommend Beverly to anyone who wants a realtor who is on top of her buisness and will do whatever it takes to take care of you. Bev and I spent quite a few days together looking at dozens of houses. She was helpful but not pushy; answered questions but did not promote; pointed out potential issues in a thoughtful, considered manner. She was definitely interested in making sure I got the house **I** wanted, making no attempt to decide for me which house that was. she was a pleasure to work with and I recommend her very highly. I was a first-time home buyer and Beverly Goldstein was my realtor. It was a scary experience to dive into with it being the first time I was buying a home, but Beverly made the transition to becoming a home owner very easy. She knew all the ins and outs of the whole process and responded in a very timely fashion whenever we had questions, and believe me, we had a lot of them. She was able to meet us near where we lived all the time even though she didn't live in the same area. She was patient with us during the periods in which we had to make big decisions and she offered very helpful and sound advice at every turn. She made sure the loan officer and even the sellers were on top of their own situations during the experience as well, making sure that nobody was dragging their feet. My experience with Beverly was great and I'd recommend her to anyone seeking to buy a home. She truly made the experience a comfortable and seamless one. Bev made our first time home buying experience a great one! We felt so lucky to have her as our realtor. She listened to our wants and needs in a home and took the time to build a relationship with us and get to really know us. She put a list of homes together to take us to see as well as homes we had picked out to see. Once we had found the home of our dreams, Bev walked us through the home buying process. Like many home buyers, we hit some bumps along the road, but Bev was there to keep our spirits up and keep the process moving along. We would HIGHLY recommend Bev as a realtor. It was wonderful working with her over the past few months!